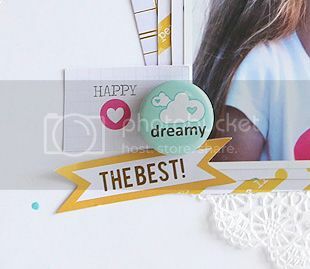 I just love the cute little wood veneer hot air balloon and decided to make it the focus of my layout, along with another balloon that was die cut, and one that was hand stitched. Once I had all the stitching finished, I just added a few paint splatters here and there, some cute tags and flair button, and my layout was complete! Crazy cool! I looooove the beautiful stitched balloon!!! Wow--so cool with the handstitched balloon! Thisw looks fabulous! You have a lot of patience to do this lovely stitching...so well worth it! This layout is A-MAZ-ING Mary Ann! 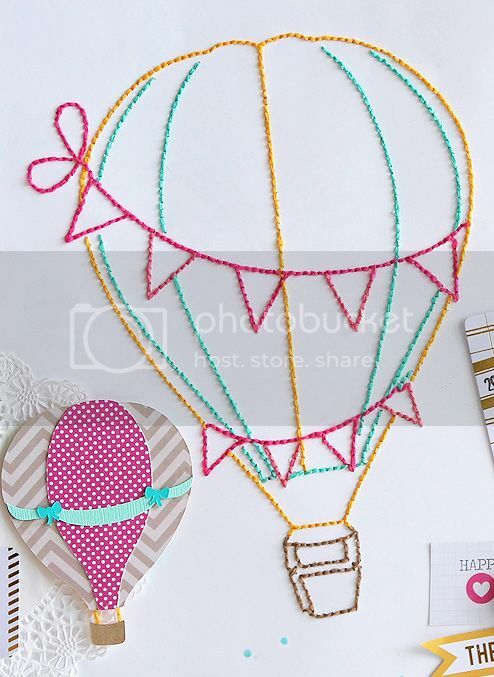 The stitched hot air ballon is totally fabulous and I love that sweet photo of your girlie!! So cute Mary Ann! And I LOVE the idea of the cut from the Silhouette store and stitching it!! Hugs!